Maintain a proper mindset before, during and after an encounter. This course is also for Kansas citizens seeking licensure to carry a concealed firearm and be recognized by more than 36 other states. Emphasized within this safety training are the Kansas Attorney General’s Concealed Carry Lesson Plan, use of force fundamentals, personal, home, auto, and business liability protection. Participants will need to furnish their own handgun and 50 rounds of ammunition, along with safety glasses and hearing protection. Kansas Residency is required and open seats are still available. 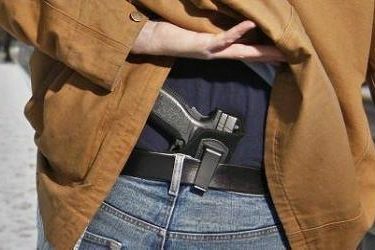 All participants wanting to apply for their Kansas Concealed Carry Permit to the Kansas Attorney General’s Office must be a resident of the State of Kansas. Cost of the class is $100. All paperwork and targets will be provided. 80% of this class will be inside. Please dress appropriately for the weather. To register or for more information, contact the Business & Industry office at SCCC, at 620-417-1170 or email [email protected].